Website Development packages includes Keyword Research and On-site SEO. Here at Cebu Web Solutions, when we do web design and website development, Search Engine Optimization (SEO) is always the top priority. That's right, Keyword Research, Analysis and On-site SEO are done at no additional costs on all web design and website development packages. We optimize the contents of your website to make it load faster. 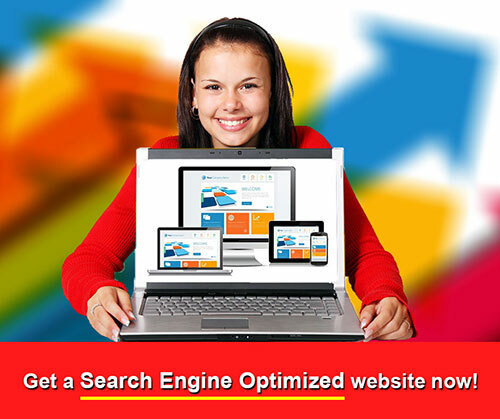 Faster website means better ranking on Search Engines. Not just Google loves blazing-fast websites, also your clients. And we know all that. A Facebook Fan Page and a Twitter account will be created for FREE as well when ordering a website design package. We make sure that your company and your website are always updated on what's the latest trend online marketing. It's time to get new clients and let your website do the work. Let's GET SOCIAL. Cebu Web Solutions offers affordable website design packages. These packages are suitable for individuals who wants to have an online presence and also for companies to show the world what they have. We also offer E-commerce websites if you want to sell online. Leave your worries behind and let us do the work for you. Choose a website design package that suits your needs. For your feature-specific website, click here to ask for a Free Web Development Quote.